Organist Larry Davis with the "Mighty Wurlitzer"
In April 1962, I took a tour of the Tivoli Theatre with Clyde Hawkins, manager of the Rogers Theatre. The Tivoli was closed but still owned by the Wilby-Kincey Corp., which also operated the Rogers. I took photographs and feared that this would be my last look at the Tivoli's striking interior. We walked across the empty stage when I asked, "Where is the organ?" Hawkins pointed to a dark corner, and I snapped a picture. The developed film revealed a sad sight. Thrown in a heap was what remained of the Tivoli's once "mighty" Wurlitzer console with pedals and some curtains tossed on top. The Tivoli Theatre's organ, a Wurlitzer Style 235 Special Opus 780, had three keyboards (called manuals) and 11 sets of pipes (called ranks) producing different sounds. Among the latter were tuba, flute, clarinet, orchestral oboe and violin. The organ was purchased for $30,000 in 1924 when the Paramount-Publix theater chain bought the Tivoli. The new instrument replaced a smaller Bennett organ. The Tivoli, a Beaux Arts theatre, had opened in 1921. On March 17, 1924, organist Edward Lyle Taylor gave the first public recital on the new Wurlitzer. Later that week he accompanied the feature film "The Shadows of Paris." A later organist was Jean Van Arsdale, a local musician whose husband conducted a dance band at the Signal Mountain Hotel. After the "Talkies" arrived, the Wurlitzer fell into disuse and was removed in 1939, when "Gone With the Wind" opened at the Tivoli. The organ console sat in the theater's orchestra pit at the end of Aisle 2, where its top protruded above the lip of the stage. It appears that the console was removed not long afterwards to improve sight lines for nearby seats. The Wurlitzer sat silently backstage until the city leased the Tivoli from Wilby-Kincey in 1963 and began using the auditorium for concerts and occasional film screenings. Volunteers succeeded in moving the console from backstage to a spot under the house left box seats and reconnecting it to the pipework. Bill Barger played it for the first time in 25 years on March 23 that year at "The First Annual Parade of Harmony," sponsored by the Rock City Chapter of the Society for the Preservation and Encouragement of Barbershop Quartet Singing. During the next few months, volunteers continued to improve the instrument and added one more rank, bringing the total to 12 sets of pipes. Over the next several years, the organ was used for special occasions including a summer film series in the 1970s. The city of Chattanooga purchased the Tivoli in 1976 and began an extensive restoration of the building that included expanding the stage and constructing an adjacent rehearsal space. With $30,000 allocated for the organ, a new team of volunteers headed by Larry Donaldson set out to make major improvements to the instrument. The console was shipped to Atlanta and rebuilt. A solid-state control system was installed. A 13th set of pipes was added. The old main cable was replaced by flexible wiring so the console could easily be connected and placed on either the stage or the new orchestra pit lift. In its improved state, the organ was heard for the first time at a Covenant College graduation ceremony. For several years thereafter, local organist John Robere played it regularly and sometimes accompanied silent films. 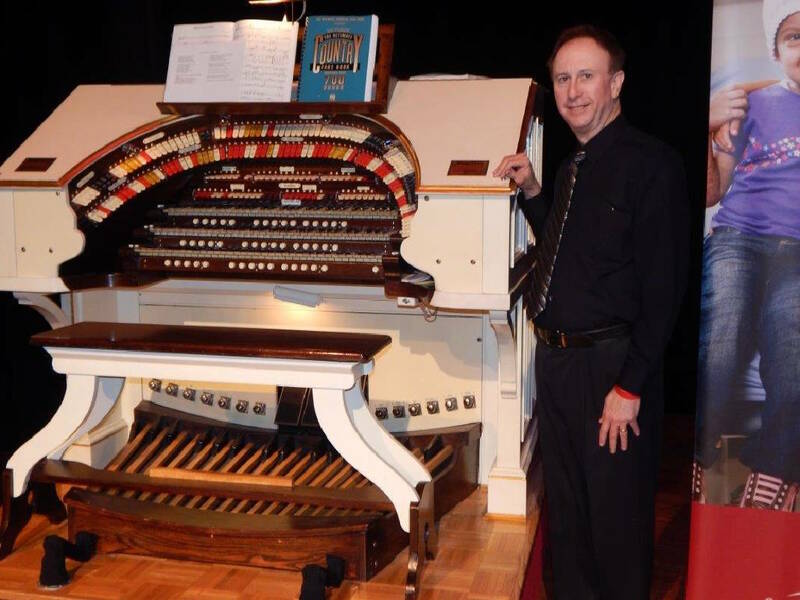 In recent years, the Tivoli Wurlitzer has been maintained by a volunteer crew including Larry Donaldson, John Tanner, Burt Allee and other members of the Southeast Chapter of the American Theatre Organ Society. They visit the theater periodically to repair and tune the organ to keep it in top condition. In 2013, the instrument was featured as part of the annual convention of the American Theatre Organ Society. Virtuoso Jonas Nordwall played an exciting program that included a thrilling arrangement of "Chattanooga Choo-Choo." Since then, the Wurlitzer has been played by Ken Double of Atlanta for two silent films, "The General" and "The Phantom of the Opera." Larry Davis, also of Atlanta, plays regularly for various events including the "Heartstrings for Hope" benefit for St. Jude Children's Research Hospital. Today, the Tivoli's Wurlitzer is back where it should be and sounding better than ever. It is one of the theater's and Chattanooga's priceless assets. Jean Van Arsdale would have been pleased. Dr. Henry Aldridge is a native of Chattanooga and an emeritus professor of film studies at Eastern Michigan University. For more visit chattahistoricalassoc.org.